Cell phone jammers, a DIY endeavor for the darker crowd. I'm pretty sure we've all considered having one at some point: whether the obnoxiously loud woman next to you is announcing private bedroom stories to a crowd on the subway, or your kids are grounded from using the phone (and consequently snagged a hidden prepaid phone), sometimes having a cell phone jammer comes in handy. 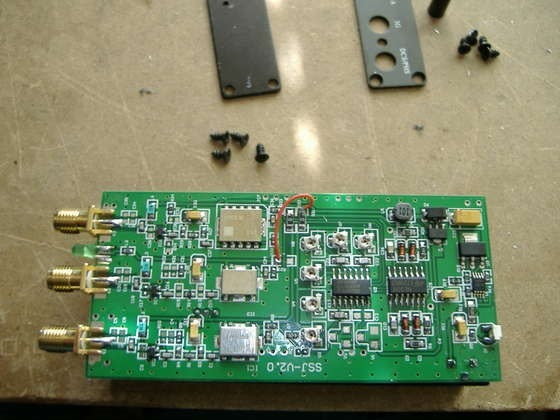 There aren't too many easy ways to make an effective radio frequency jammer, considering they are pretty complicated devices. Their creation is usually left at the hands of complex machines, not the hands of error-prone humans. Radio jammers are actually illegal in the US, so it can be difficult to get your hands on one if you don't have the right resources. So how can we make one from home? 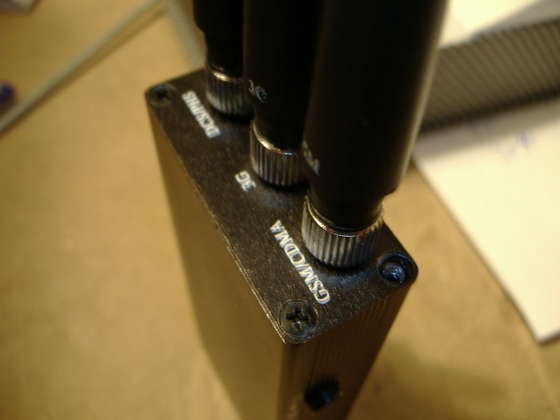 By modding a jammer made to work on other countries' frequencies to work on our own. Ordering and owning a radio frequency jammer is against FCC regulations and perhaps your local / country laws. My best advice would be to follow them. First, we need to remove the casing from the pre-made jammer. Remove the antennas first, then the sets of 4 screws on the top and bottom of the device. Remove the board from the casing, and you should end up with the entire PCB out. 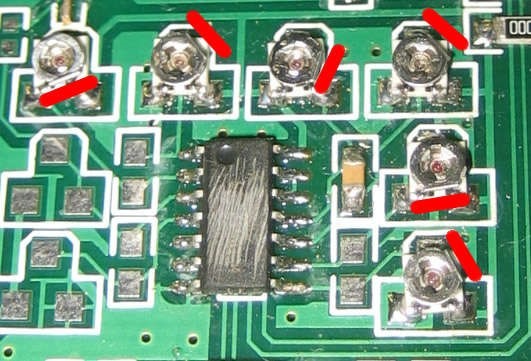 The little knobs on the circuit board are what controls which frequency we are on. Weird that whoever made this left a convenient little Philips head screwdriver hole...This makes it too easy to mod it. The direction the flat side of the tuners are facing should be taken note of for a reference point. To adjust this, we will have to use the ol' guess and check with our home phones, unless you have a frequency counter lying around. Turn the jammer on and call a number with your cell phone that won't hang up, like a friend or a free talk line. Adjust the tuners until the call is dropped, and you will have found your frequency. Enjoy the satisfaction of dropping your friends and families phone calls on a whim, because I'm sure that they will.